In our work together, we'll define the beliefs, values and strengths that are deeply important to you, but are not the same as your competitors. Real value is created not just through the results you deliver, but through the entire experience you provide. A Fearless Brand creates a meaningful and differentiated experience that fulfills an essential desire for your ideal clients. 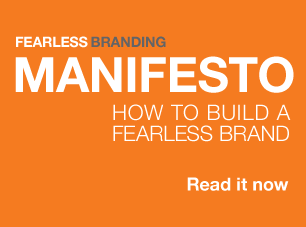 It's based on your Fearless Brand Idea, the central organizing principle that tells your ideal clients who you really are. You’ll create real value for your best clients that competitors simply cannot replace. Your brand will have no substitutes. Position your business as the clear choice for your ideal clients. Let's discuss your next step. Copyright 2019 Fearless Branding. All rights reserved.